Watch President Obama join in on "Sweet Home Chicago" at In Performance at the White House: Red, White & Blues, courtesy of PBS. Riley B. 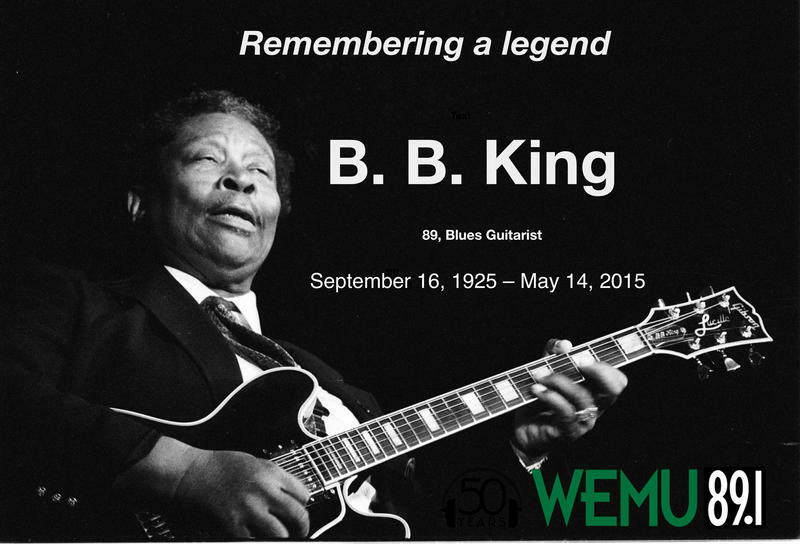 King, the guitarist better known as B.B. 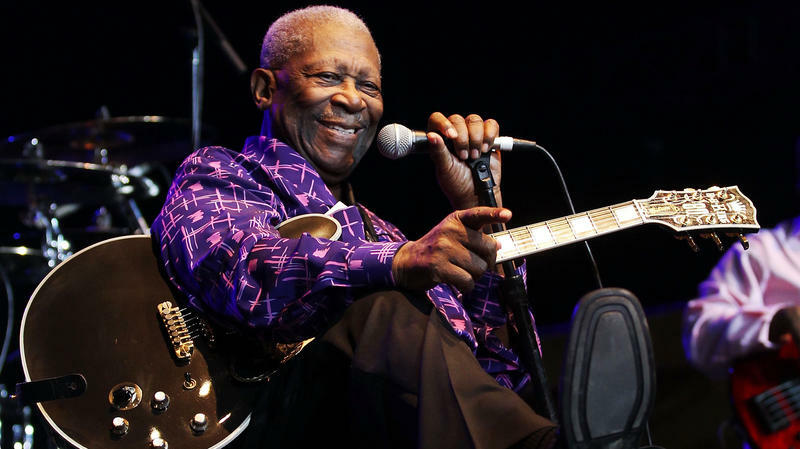 King, whose voice brought blues to the mainstream, died Thursday night. He was 89. It seemed as if he'd go on forever — and B.B. King was working right up until the end. It's what he loved to do: playing music, and fishing. Even late in life, living with diabetes, he spent about half the year on the road. 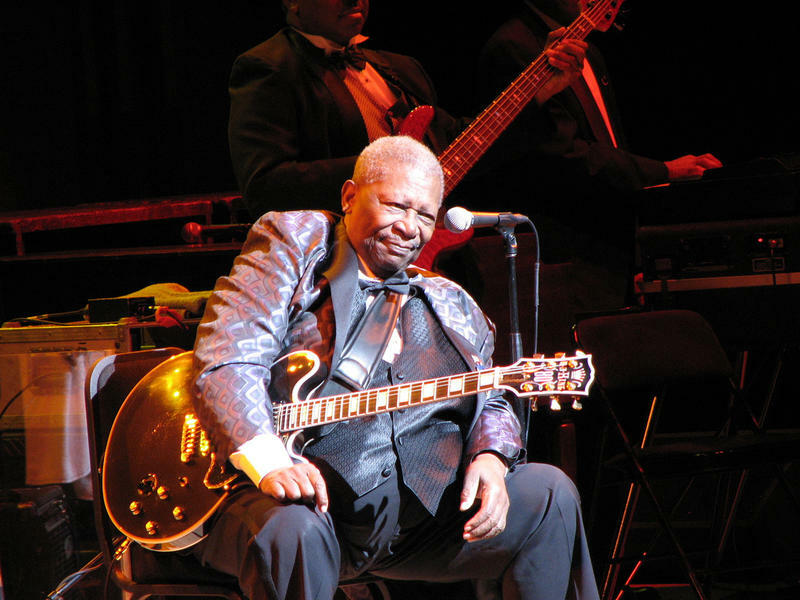 King died Thursday night at home in Las Vegas. He was 89 years old.